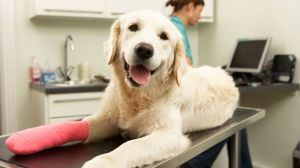 Pet insurance would cover expenses with your pet, dog or cat may have unexpected medical bills. Our pet insurance providers will reimburse your pet expenses after your pet is treated at the veterinarian. Pet Insurance has become more popular as the recent advancements in veterinary medicine are helping pets live longer, but many times these treatments can be costly. At Four Winds Insurance, we can provide your pet insurance very affordably where you can visit any licensed vet, specialist or emergency room. So get a quote today to protect your pet and save money on your pet insurance and expenses.